I received a pair of LED wireless bluetooth speakers from SengLED+. Upon opening the box I was skeptical at first. The box was cool and the lights were cool. Where are the speakers? The speakers are powered by JBL and are inside these two giant light bulbs! Cool, huh? Not only do you get light, you get sound! I was still unsure. I took them out of the box. They seemed to be pretty heavy. I decided to put one in my bathroom light fixture and one in my bedroom light fixture. Easy enough to screw in two bulbs. They fit any standard socket. When you turn on the light, the speakers make a sound. I then proceeded to download the Pulse app for my phone. 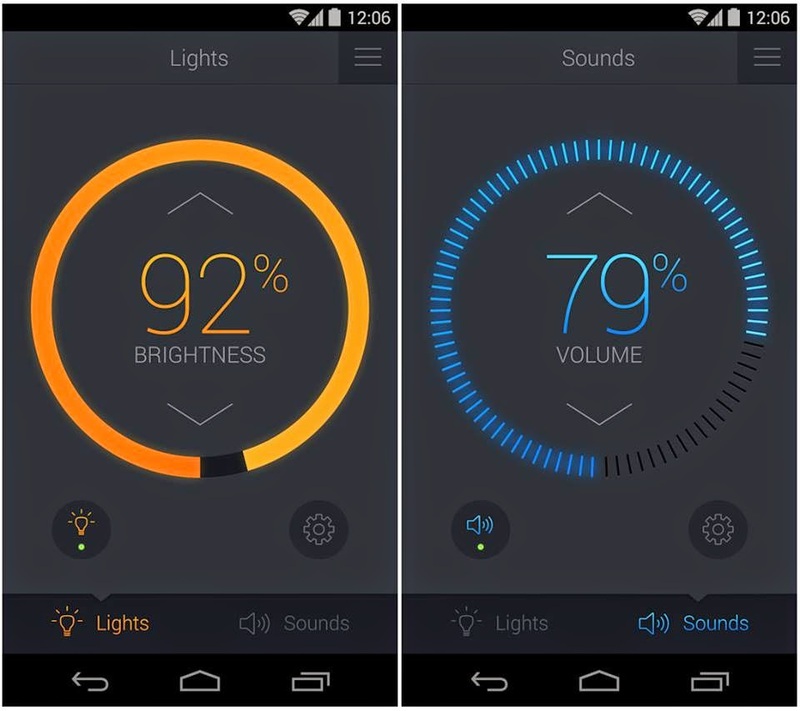 This lets you control the volume of the music and dim or brighten the lights. Once you download the app you will see that it is searching for those speakers and the speakers will beep once connected with the Pulse app. Now you need to go in your bluetooth settings on your phone or device to pair AND connect the speakers. You are now ready to stream your favorite music! I have used these speakers and Pulse app stream from my Spotify playlist but you can use YouTube, Vevo, Pandora, anything you want to stream the music. When the sound first came on it was at the highest level and I was rocking out to some great music! I played around with dimming the lights and the sound to get it in my comfort zone. You can dim the lights to the point of no light and still have the music playing. I admit, while the kids were away, I blew the roof off and had the volume wide open! With speakers powered by JBL, I knew these Sengled+ LED Wireless bluetooth speakers were going to be phenomenal. They exceeded my expectations. I have used these speakers several times a week and I am impressed each and every time. Check out these cool bluetooth wireless speakers on SengLED + website, Facebook, and Twitter. 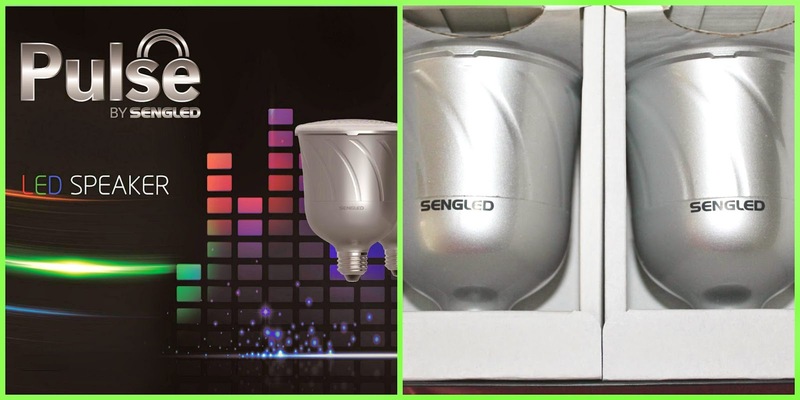 SengLED+ has agreed to give one lucky winner a pair of these great speakers(RV $169.99) to one of my readers. Enter via the Rafflecopter below and be sure and come back for the daily entries to increase your chances of winning. And, to the winner of these awesome speakers, get ready to hear and see a great new innovative product brought to you by SengLED+ and powered by JBL audio! I like the fact that they screw into a standard Edison light socket. I really like the Candy Apple red color. That's awesome that you can plug in the speaker in the socket. I love that they are lightbulbs because my children are less likely to mess with them. I definitely love that they are wireless!! They look cool and modern too! I saw this on a commercial. I love that it pulses with sound, a great party addition. I'd like black but since that's not an option pewter!! Those are neat, I've heard of them before but never seen one in action! I bet my teen would like them! ALSO! I like the red! I like the candy apple red and that it is wireless. I really like the way they look. i want purple and i like that you can take them anywhere!! wireless is so awesome!! I love that you can use Android App provides for complete control over light/sound intensity and audio equalizer modes. I like the pewter color best. I like the purple ones and of course I love that they are wireless and can go anywhere that I go. I like the pewter. I had never heard of this blue tooth solution before, very clever. I love them in pewter and I love the fact that it can screw into any standard E26 socket.That is awesome! I've never heard of something like this before. Ah, technology! I like that they are wireless and bluetooth. The red is nice. I like that they have surround sound effect and I like the Candy Apple color. I like the red and that there wireless. I like the awesome colors you can get it in. i really like the candy apple one. so cool. I like that they are wireless and I like the pewter color. I think they are a plus to the decor and I like the candy apple. I love that they are wireless, the red ones! How cool! I love that it can go into a light socket. I love he red one. I like that they are wireless. I would love to have the red ones. I the wireless capability and that they last up to 25,000 hours. This is such a great product. I like that they will fit any standard socket and can be wirelessly connected from any bluetooth enabled device. I would choose the Candy Apple Red. I love that just screw into a lightbulb socket. I love that they can be used in normal light fixtures and I love the Blue !!! I like that they are wireless, and I like the pewter best. I like the silver ones, I think it's cool it's a speaker and a LED light. I like that it's wireless. The red is nice. I love the pewter, and that they have apps for both iOS and android platforms! I like that you can put right in a standard socket. I would choose the candy apple red. I like the purple ones and honestly I love best that they come in purple!! I like that they are wireless and you can put them anywhere and my kiddo can't reach them haha Red is awesome! I like that they are wireless, and I like the red one. Thanks for the giveaway… the Pulse has been designed for 25000hr of usage. With an average use of 3hr a day, the Pulse will last for 22 years+ !!! ; like the Pewter model. I love using Bluetooth in my truck with my Amazon cloud. Now I can do the same at home with these great wireless sharp looking speakers. I think pewter is the nicest. I like that you can stream light and music from one device and they fit in standard light sockets. I would like the pewter ones. I like wireless speakers.. I use them every weekend.. these look nice and sleek! Pewter, JBL, wireless, rockin giveaway. Those are really cool. I need get some for when we go on picnics. Brilliant! I could use this outside by the pool and we wouldn't have to use the transistor radio anymore! Either color would be great, I like them both, but my mom is partial to red. I like that they are wireless and Candy Apple Red for me. Pretty cool that you can plug it into the socket. Thanks for the great giveaway! i like that it has light, that is cool! i love the candy apple red color! Sounds like a cool speaker/app/etc. Too bad it wouldn't work for me in Sweden! Did I win? I hope I won...I mean,that would be cool..I sure could use these! oh....I have to enter a contest? over 3,700 people have entered? Interesting looking speakers / app / light thingie. Bluetooth speakers are so convenient and helpful! I also really like the light capability on this. I like that they're wireless. I like pewter. Those look really cool! I have never heard of wireless speakers that screw into lightbulbs sockets before! I love the candy apple red and the fact they are wireless is the best feature!! Sounds like a really cool product. you got to love that these speakers are wireless. Good luck to all in the giveaway. I love that these are wireless, I would like to have the red ones. I like that just screw into a lightbulb socket. I would like the candy apple color. Love that it just installs like any other lightbulb, I like the red! What I like about the speakers is that I can screw them in anywhere to get light and sound. I like things that are practical but it's even better when they are multifunctional. This is exactly what I need. Thanks for all the info! I love the red. This is an awesome idea!! Love the pewter ones and they are wireless how cool! My favorite feature is that i could control it from my cell phone or my tablet, and i would love the Candy Apple red colored one. AWESOME! I'd love the purple ones. These would come in super handy. I like the red ones and I love that you can even control the lights with it! I like that they are wireless. I love the red. Awesome love they plus into something you already use. Would love the pewter. I love that you can choose the level of brightness, plus the fact that you can hear music through it! Candy Apple is great! Lights and sound. Seems like a great combination. I can never hear my computer speakers. The pewter is a great color too. Sounds great! I like that it's wireless it would be perfect for summer travel on the beach! These sounds awesome. They would be great for camping. We went a couple of weeks ago and I turned on my ipod but the speakers I had were very old and don't sounds the greatest anymore. I will definitely have to check these out! How cool!! So bummed the contest is over! That would be soo neat to have speakers and light coming from the same source. I love that you can choose the brightness too. JBL is always known for quality. I would love these speakers! I will need to check them out in the store! Looks like I missed the boat on the giveaway. I do appreciate hearing about the speaker though, we have yet to purchase one but it's on our radar. The wireless control is great. I also like the color or this speakers. Congratulations to the winner. We have some of these speakers and they are FAN. TAS. TIC!! I would recommend them to anyone! These are too cool. I could use these in my living room lights. I love rocking out to my favorite tunes in my living room and these sound great. Wow this is something I really need, So glad to hear they are a good choice. I need wireless so I can move from room to room. This look awesome, I was excited about the giveaway until I saw that it was closed. That's pretty sucky. These are really awesome and a would love to have a pair. I love the candy apple red ones. Thanks for sharing. I can control it from my cellphone? How awesome and it's available in Purple Yes! Count me in! 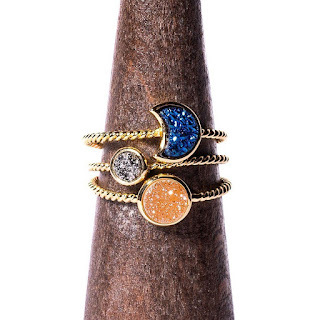 wow they are great, and wow the design is so cool.. i'm myself a designer so just loved it..
Looks awesome! I love portable Bluetooth speakers and these look pretty. What a great party idea!! Love it! Oh man, I missed the giveaway. These look awesome. Love it! Portable Bluetooth Speakers are always my best bud when I'm travelling.